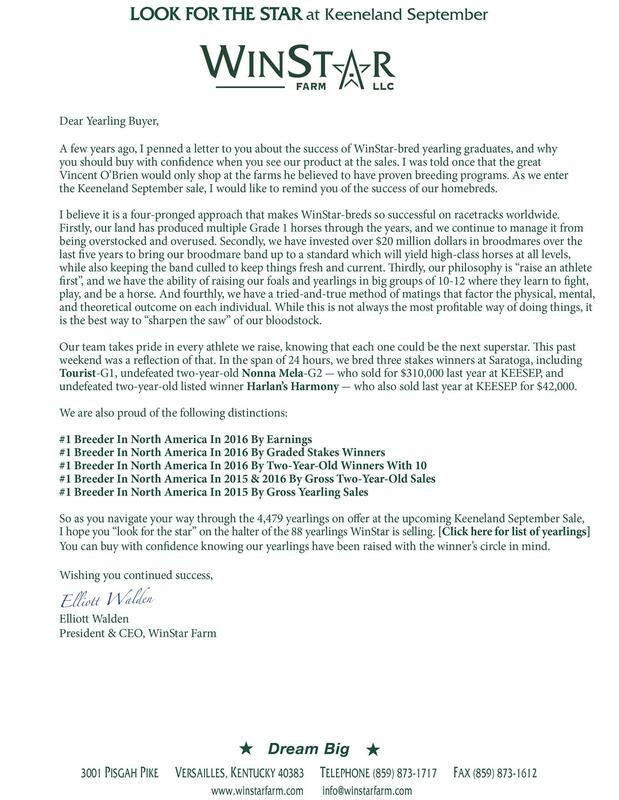 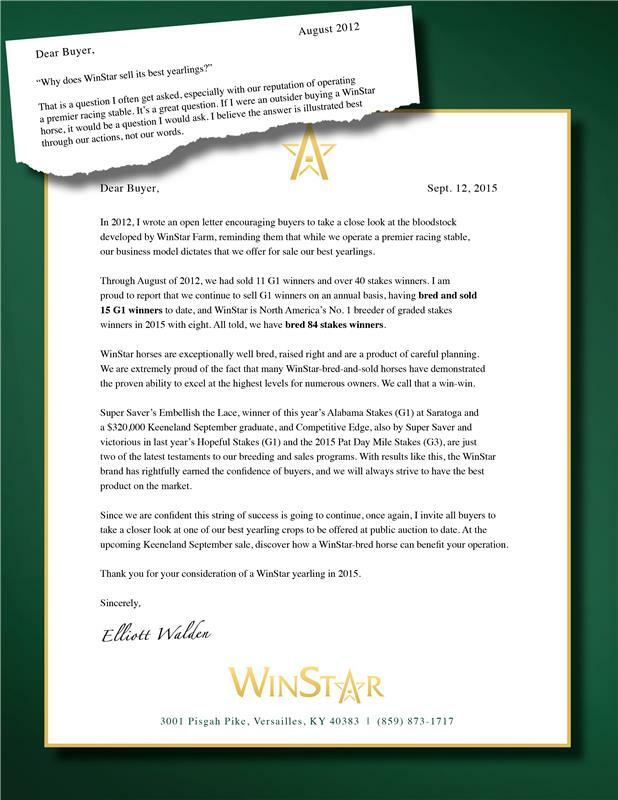 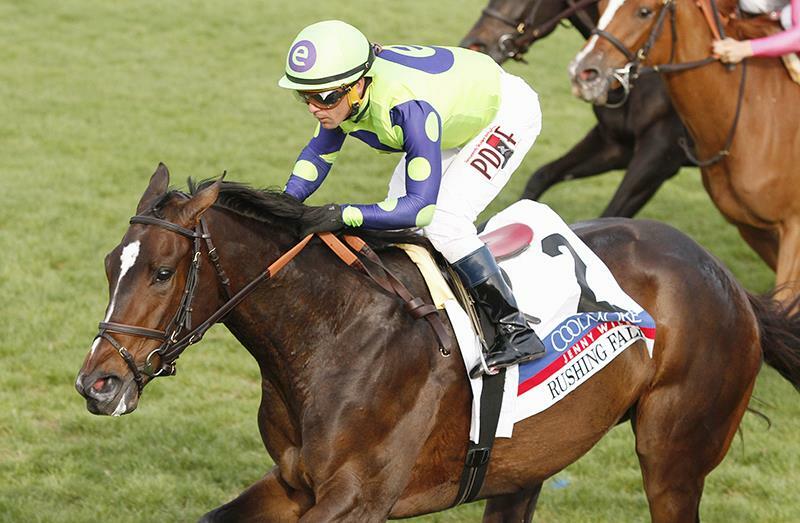 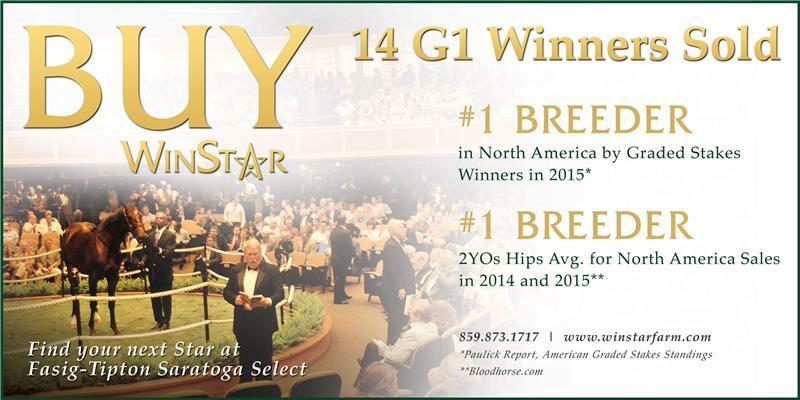 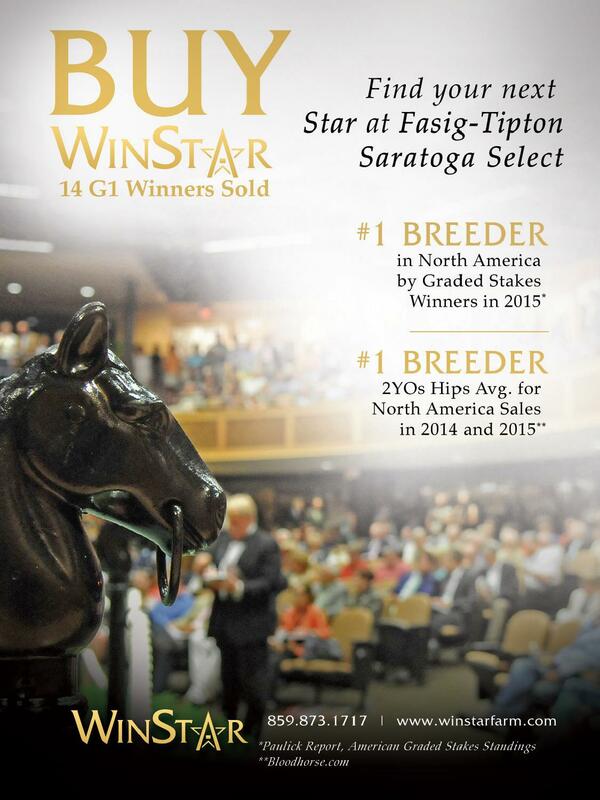 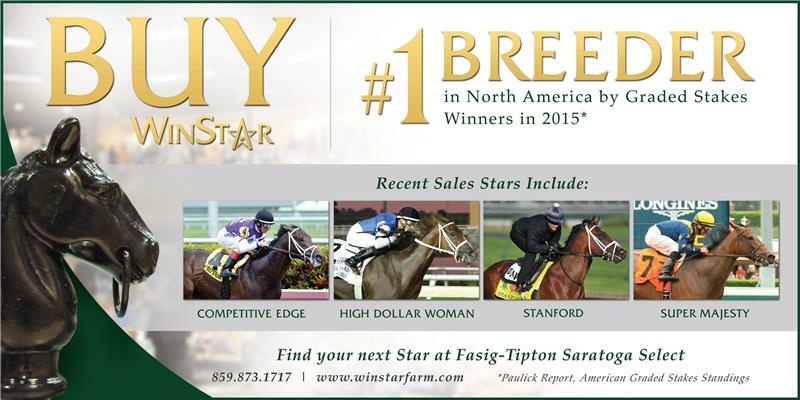 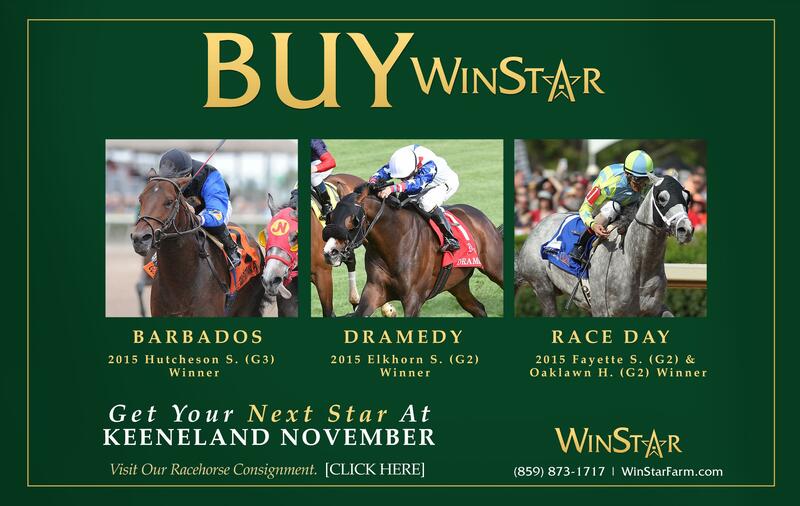 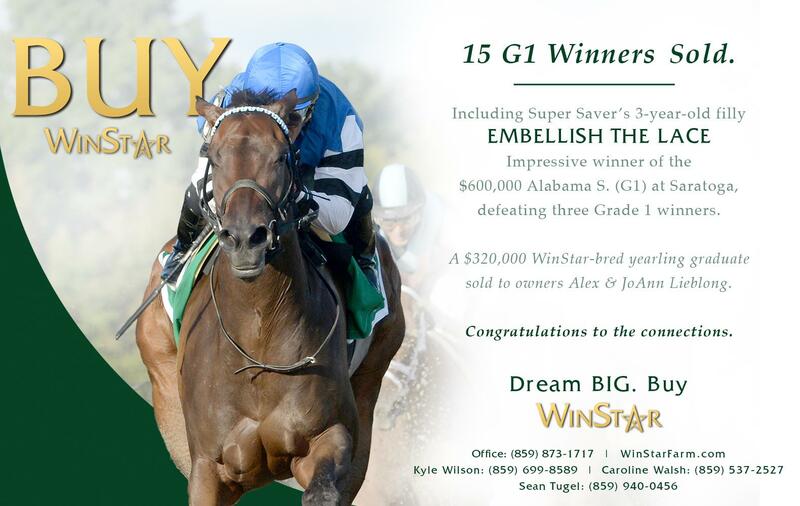 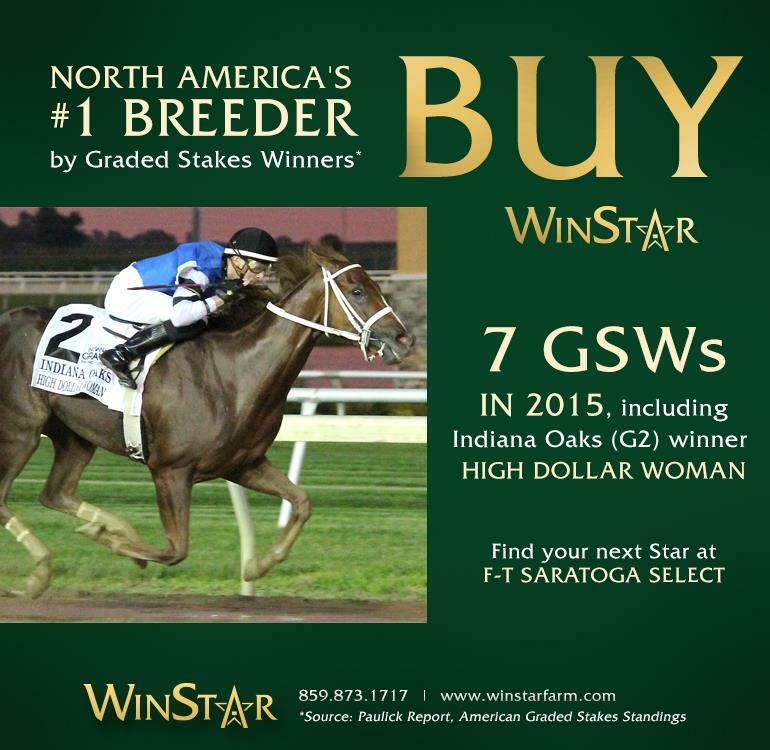 Striving to be the best has proudly earned WinStar numerous milestones as owner and breeder. 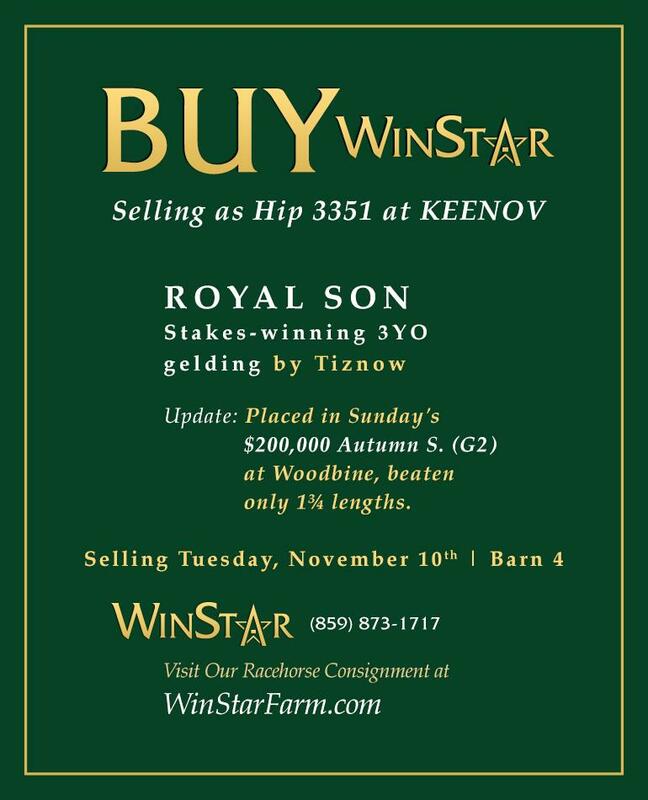 But what is perhaps less publicized is our success in the commercial arena, and the number of top racehorses we’ve sold at public auction. 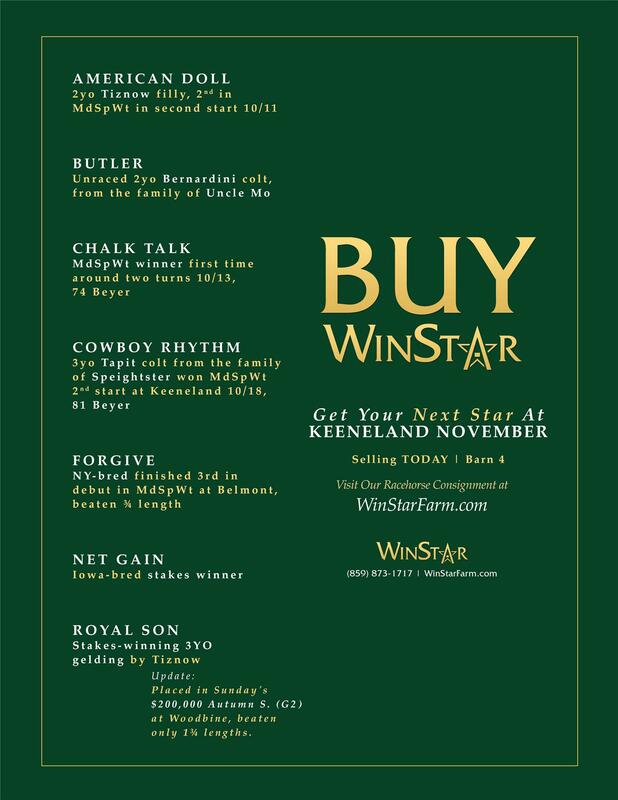 We understand that to acquire new and diverse bloodstock at public auction, we must trade our pedigrees and sell our best to help ensure long-term health for both WinStar Farm and the breeding industry as a whole. 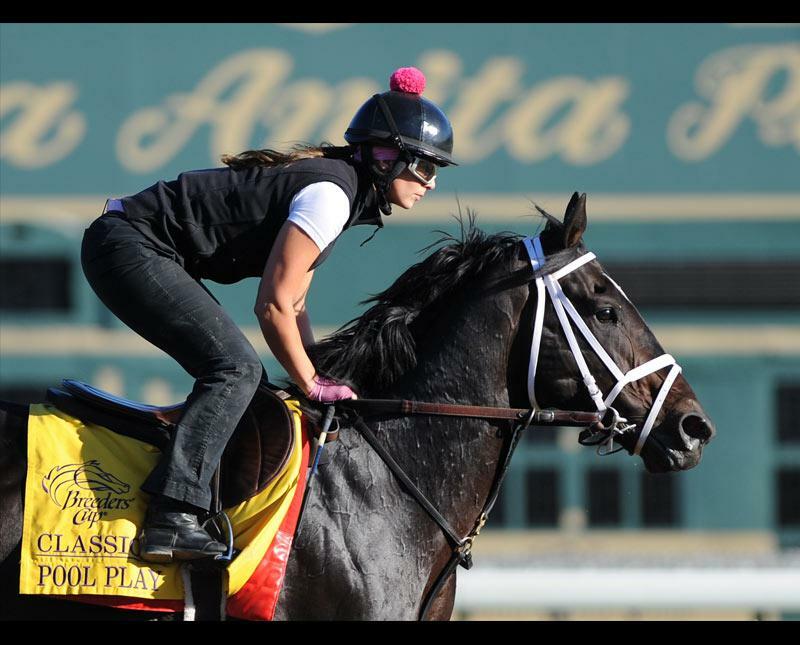 To that end, we take pride in selling top prospects every year at the sales, and those graduates' success on the track helped us earn the Eclipse Award for Leading Breeder in North America in 2016. While sales horses bred by WinStar have consistently commanded top dollar at public auction, that is not the only reflection of our successful breeding program. 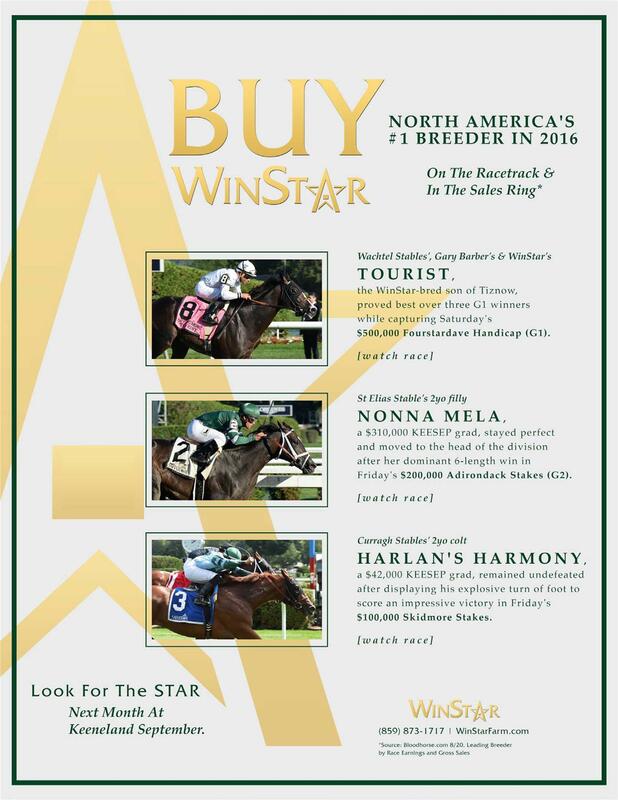 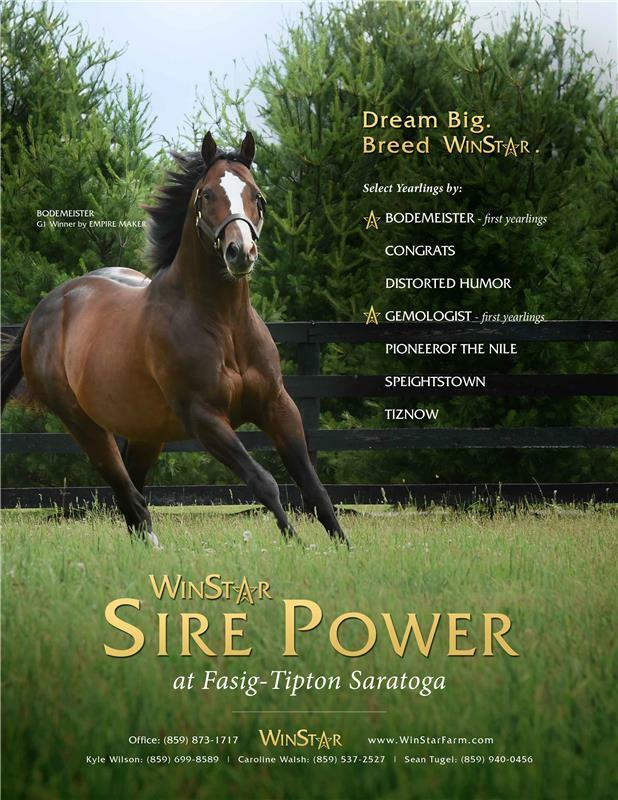 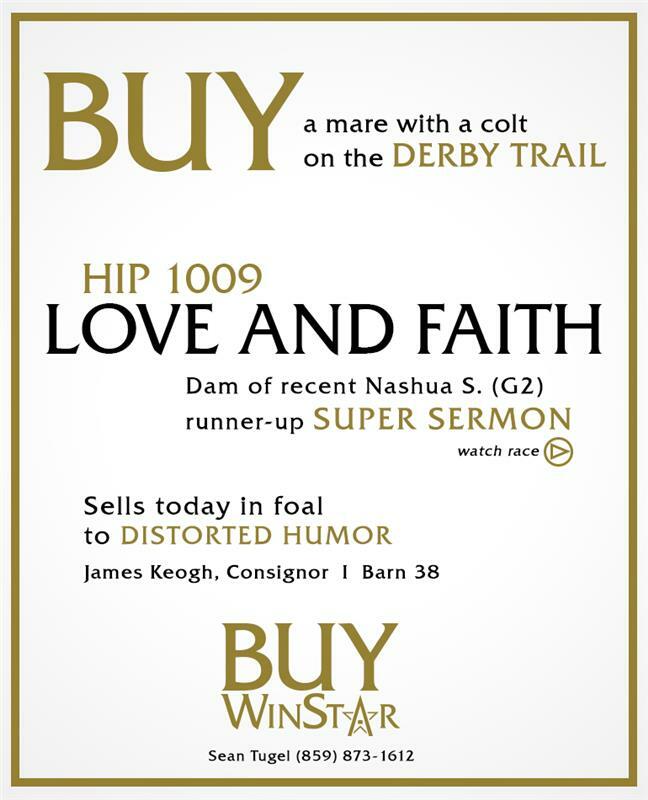 WinStar breeds to sell in all areas of the market. 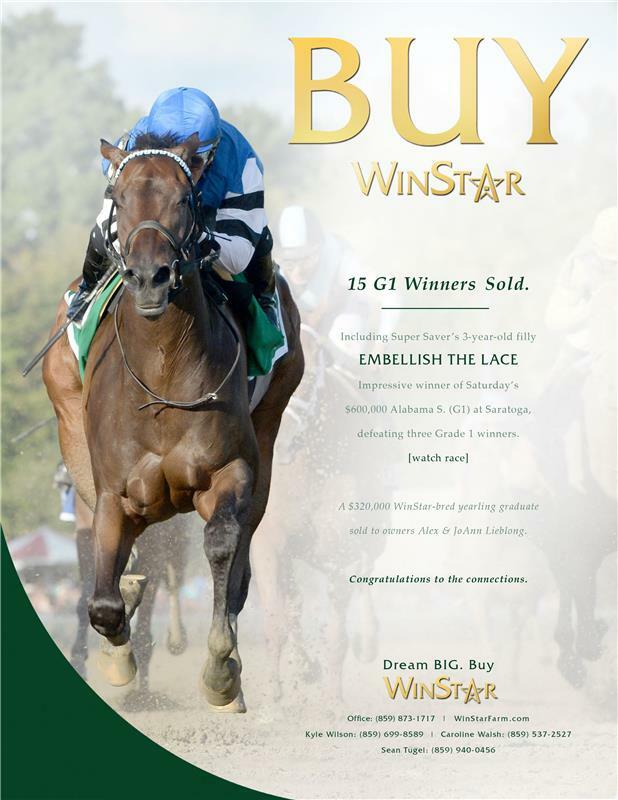 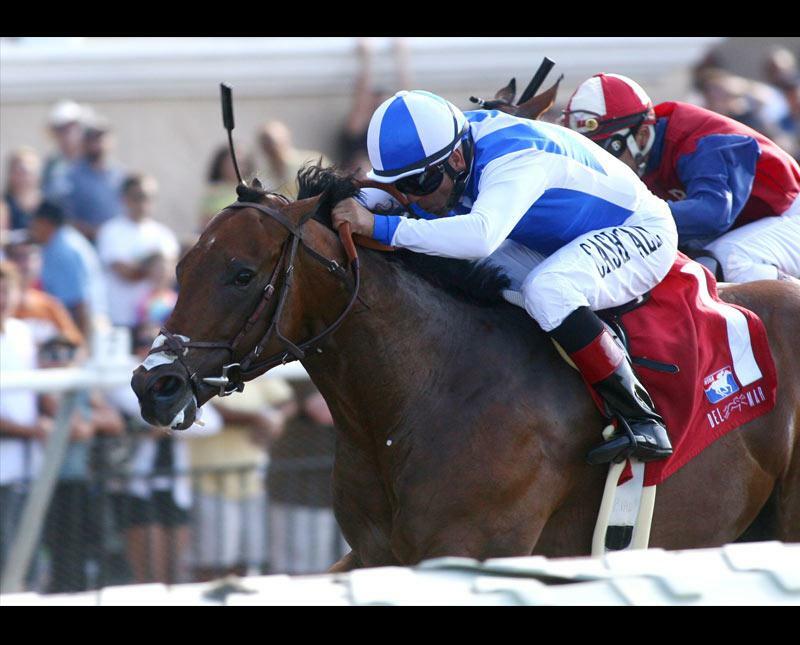 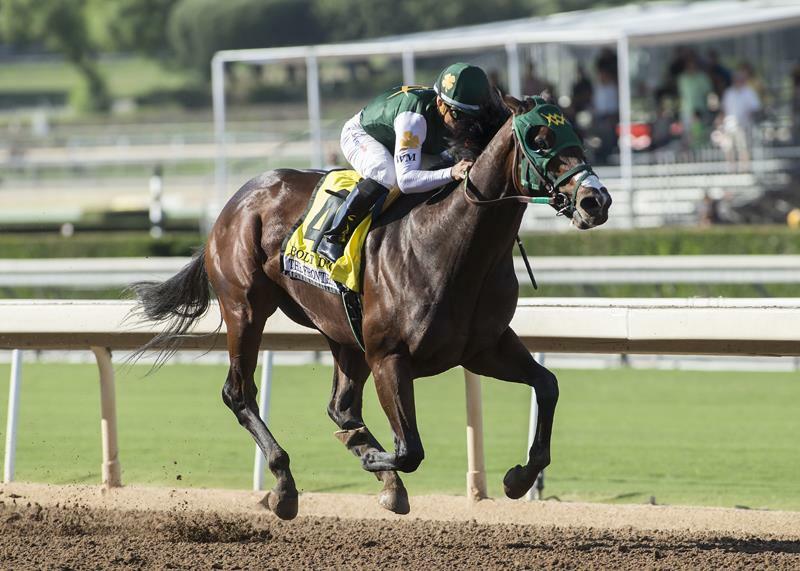 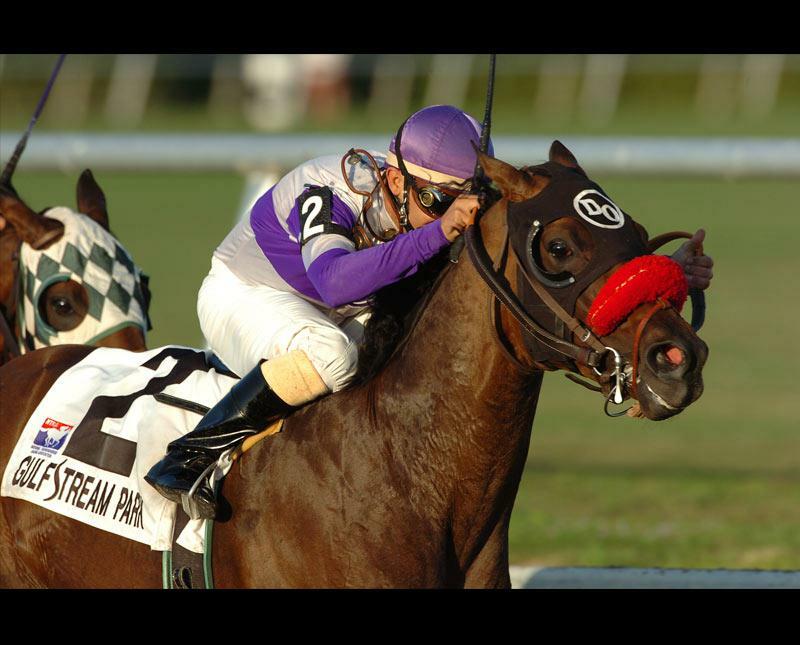 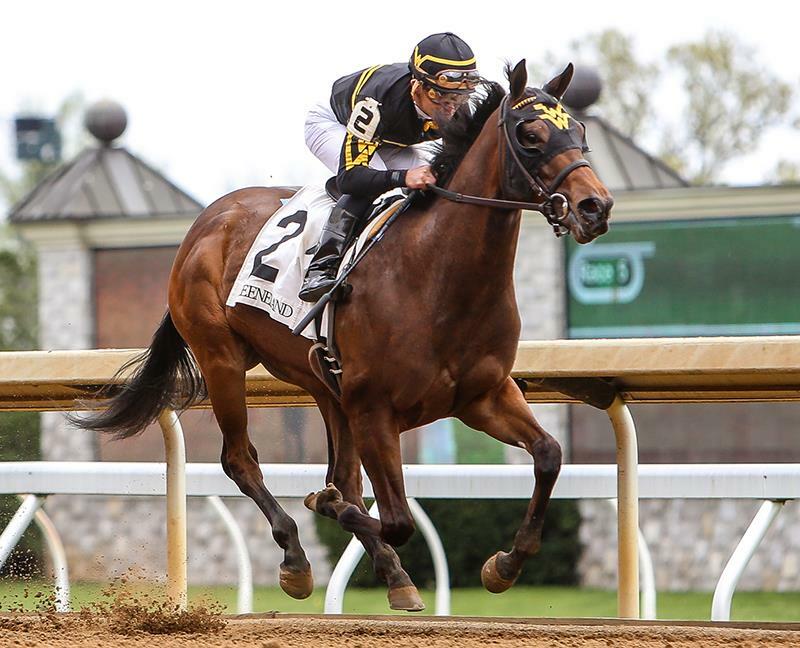 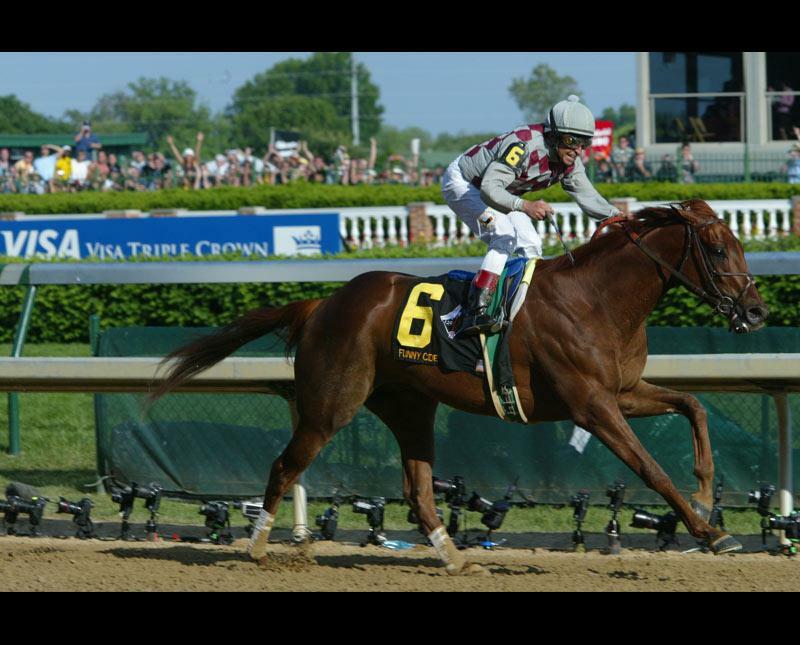 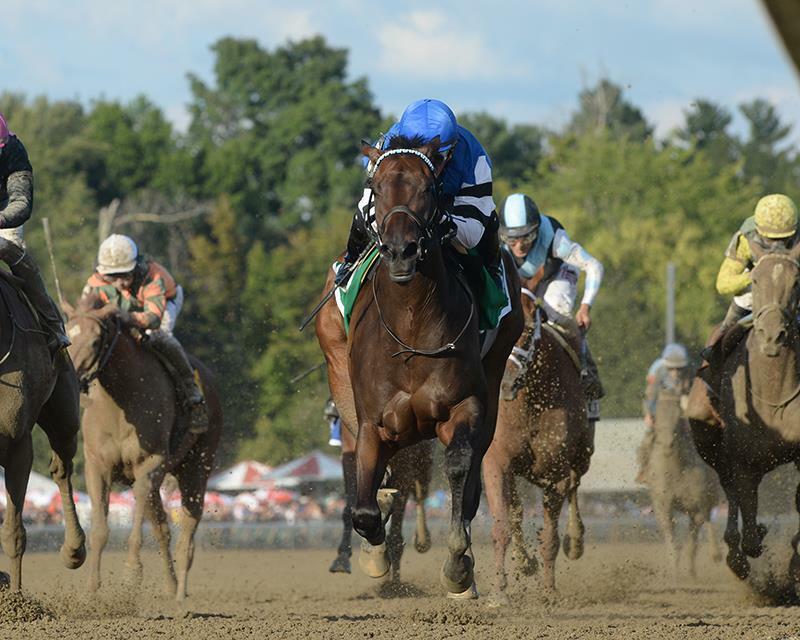 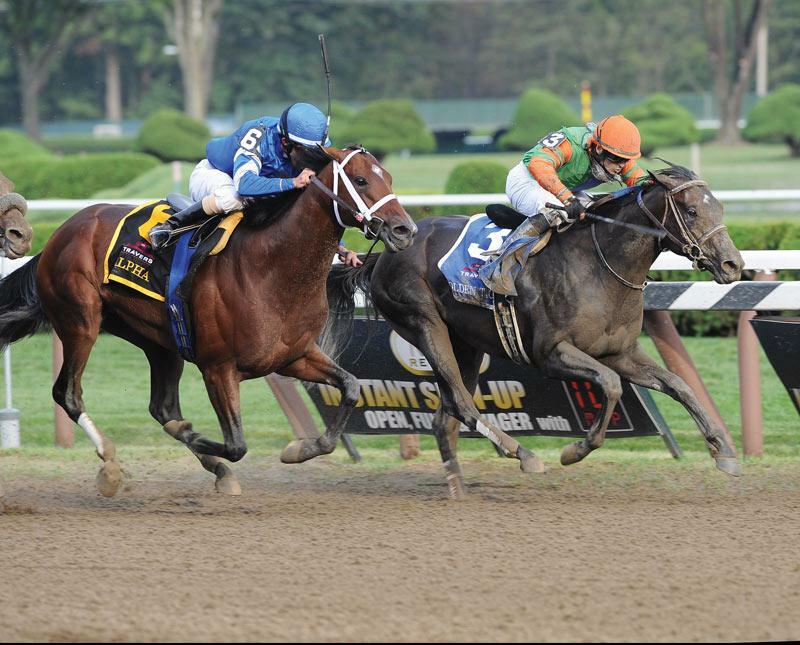 In fact, we have sold Grade 1 winners – including Kentucky Derby winner Funny Cide, Travers winner Golden Ticket, Champion filly Spring in the Air, $3.4-million mare Sharp Lisa, etc. 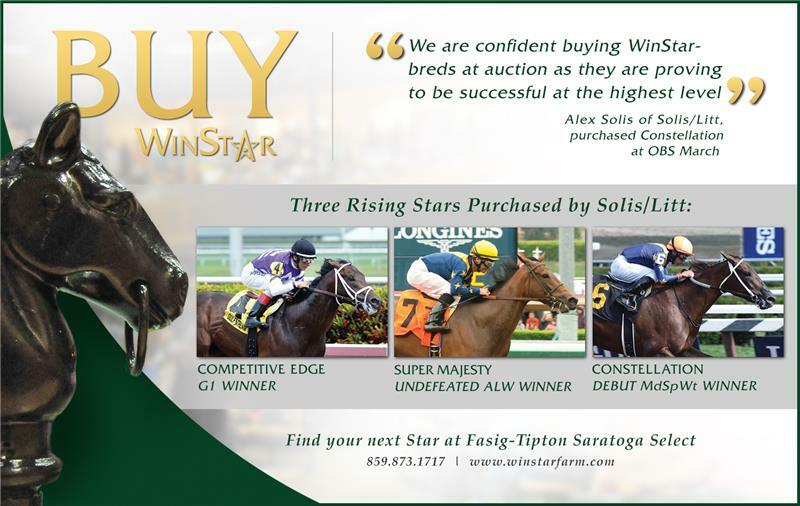 – at attainable levels for nearly every buyer in the marketplace. 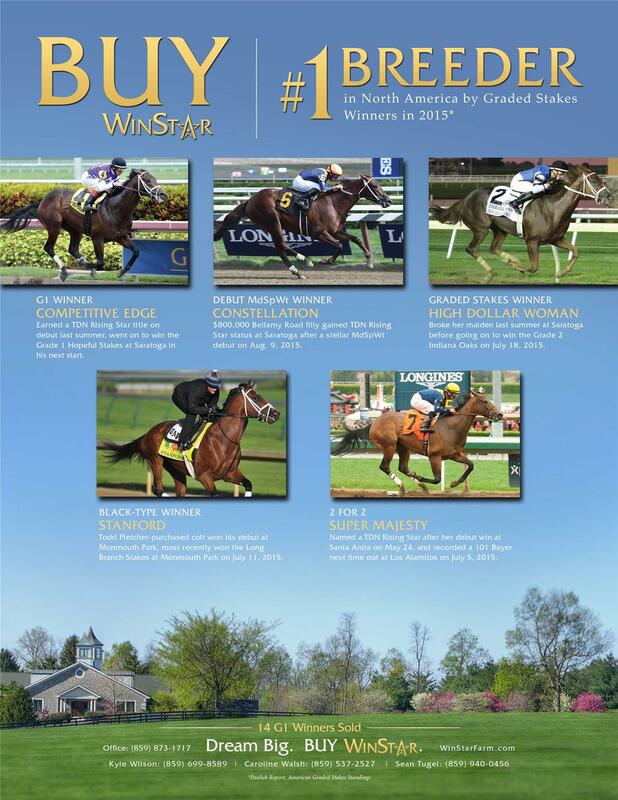 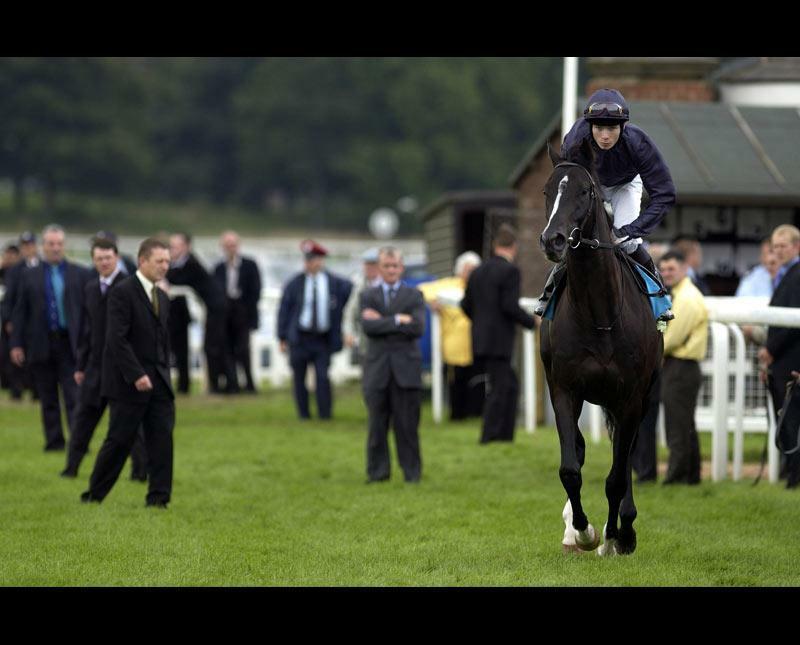 Notable private sales include acclaimed Grade 1 winners Any Given Saturday, Girolamo, and Court Vision. 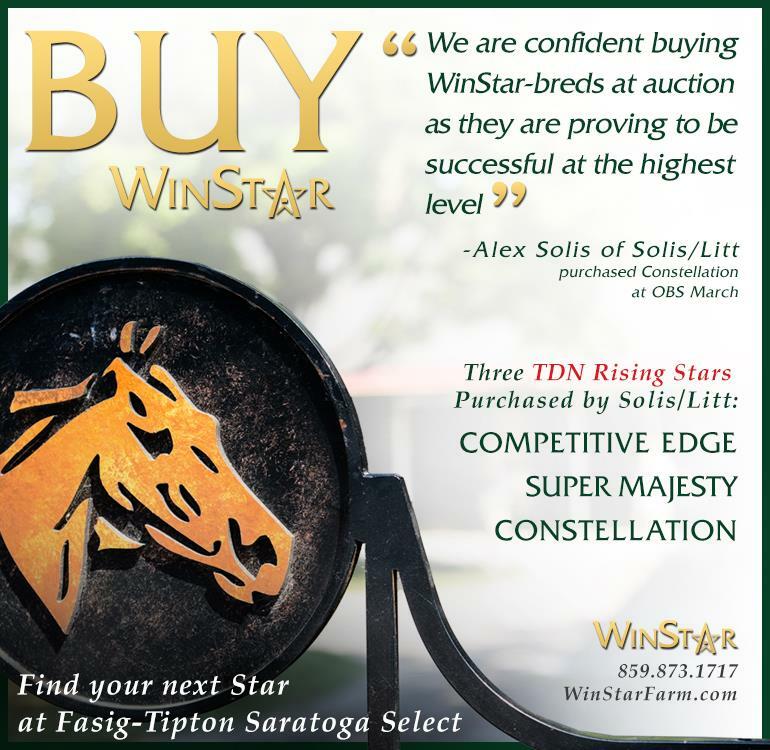 So whether you are looking to pinhook, or buying to race, you will benefit your program by making sure to 'Look for the Star' the next time you're at the sales.